The Litter Box: Why Can't We Just Forgive And Forget? 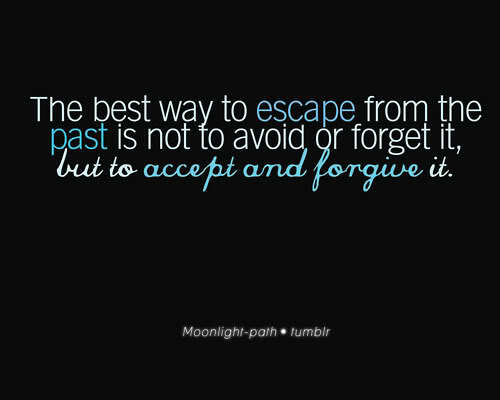 Why Can't We Just Forgive And Forget? 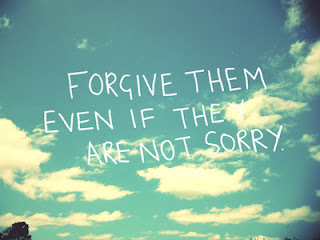 Why can't we all just forgive and forget? We've all done mistakes in the past and we've all done our best to atone for all of them but somehow, redemption is hard to get and forgiveness is by far, the hardest goal to achieve. My heart aches as I remember the things that I have done to hurt others. I yearn to go back and correct all of them but what am I to do? How can I go back? I know I can never do so. Up until this day, I have regrets about certain things that happened in the past and as much as I want to make things right, I just can't. I know that if I ever get the chance to change the past that I would probably change my future as well. Like a ripple made on water, it will have an effect, no matter how big or how small the object is. I've found it difficult to forgive myself at times too. Why? Because I know that the forgiveness I seek in others can never be given to me no matter how hard I try. 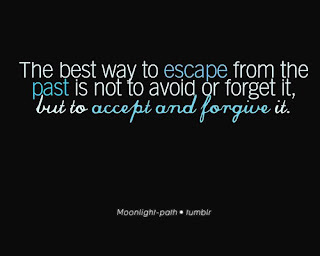 Forgiving and forgetting are easy words to say but never easy to do or apply in real life. My heart goes to those people who feel like they can never be forgiven and forgotten, to those people who feel like they have sinned big time and to those people who keep on trying no matter how hard it is to attain redemption. I hope and wish that one day things will get better. I feel sorry for the people who get involved and even get hurt in the middle of the process of forgiving and forgetting. They are the ones who suffer a lot because they never take any sides. All they ever hope for is to finally have peace in between. I hope that it's true that time can heal all wounds. Will I be finally forgiven after so many years? Only God knows when it will happen but until then my heart will continue aching. It will continue breaking and bleeding. It will continue to cry out for redemption as I repent and pray. When all fails, I don't know what shall become of me or what shall happen next. All I know is that I don't want to feel this way any longer and that I want to continue doing something just to get me out of this mess. Sometimes I wish to make it all go away but how can I when it's not possible to make things alright. I'll just hope and pray that after letting go and finally, giving a chance for me that things will get better then.
" I've learned that when you harbor bitterness, happiness will dock elsewhere. Remember, every minute spent angry is sixty seconds of happiness wasted!!" I know that, Ma. I am trying to stay positive and happy always. I guess I just need to cry and vent sometimes.